Samsung Galaxy Note 8 Android Oreo update lands in France - global launch soon? To say that the rollout of Android Oreo on the Samsung Galaxy Note 8 has been slow is an understatement. But regardless of your participation in the beta, the long-awaited software could be appearing soon on your S-Pen-packing phone. Note 8 owners in France are reporting that Android Oreo has arrived in full, according to PocketNow. It’s not terribly helpful to use one region’s launch to predict when it will appear elsewhere around the globe, but it shows that Samsung is finally confident enough to push an update live – and not take it down immediately. Judging from the Android Oreo software released on other phones, we can expect some similar improvements to the Note 8. Of course, picture-in-picture support will come in tow, which makes it a bit easier to multitask without losing sight of content or a video call. You’ll also get notification dots and new emoji, both of which freshen up the experience a bit. We expect Samsung to make some custom touches to make Oreo extra special on the Note 8, but we’re not quite sure how it will do that just yet. 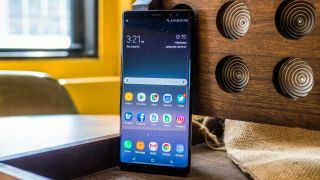 Samsung's Oreo introduction has recently treated the Galaxy S8 and Galaxy S8 Plus to a good helping of features that were previously exclusive to the Note 8. Most notably, Dual Messenger and App Pair are useful features that let you do more with fewer taps. On the other hand, it's possible that Oreo might not deliver as much in the way of new functionality to the Note 8, though its S-Pen might allow for some new tricks if Samsung decides to get creative. We’ll be waiting for Google’s latest software to come in the next few weeks to see for ourselves.